SoundRoots World Music & Global Culture: Ten Years in Your Ears! Ten Years in Your Ears! 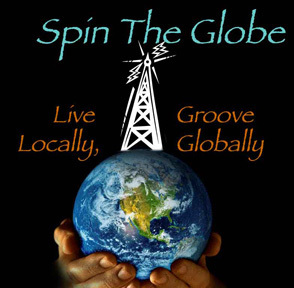 Spin The Globe celebrated 10 years of global music broadcasting (and podcasting) this week with a variety of music new and old, and some greetings from listeners and other DJs. It was a fabulous celebration, and my thanks go out to everyone who has made the show possible over the last decade, from listeners and musicians to our engineers and radio station staff. You're all part of this thing, so stop trying to hide in the back of the classroom. If you didn't get a chance to celebrate with us, you can still phone in your own birthday greetings - leave a celebratory message for Spin The Globe at 646-402-5676 x76238 -- and you may hear your voice on the air on a coming episode.